"Doctor Who is the world's longest running science fiction television series. Each Handbook will provide both a broad overview and a detailed analysis of one phase of the programme's history. "Colin Baker's tenure as the Doctor was brief, but coincided with one of Doctor Who's most turbulent times. 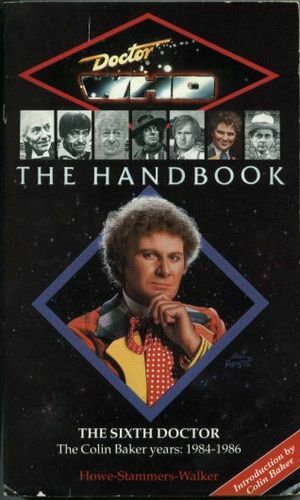 The programme's audience ratings were falling, its future was in doubt — particularly during an eighteen-month absence from the screen — and, in the end, Colin Baker's departure was abrupt and marked by recriminations. The Sixth Doctor's personality seemed to reflect this uncertainty: he was moody and unpredictable."